Exclusive, scenic and elegant, describes Auburn Valley Weddings. We have been making unforgettable memories for countless couples from near and far for over 35 years. We are a full service wedding venue, that is here to make your wedding day stress free and one of the most memorable days of your life. We can accommodate wedding ceremonies, wedding receptions, rehearsal dinners and post wedding brunches- offering a variety of packages that are sure to please. Our experienced wedding coordinators will assist you in planning every detail of your special day. 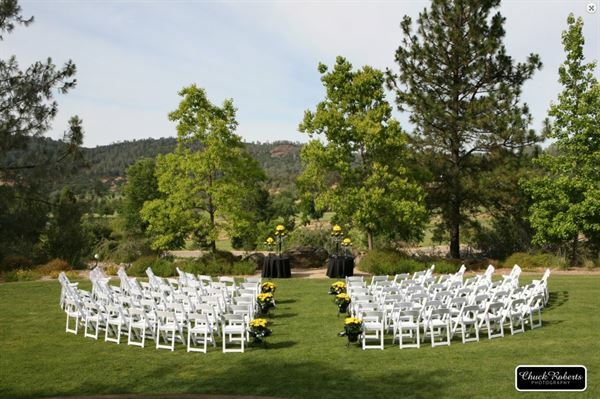 Our ceremony site is private, secluded and overlooks the spectacular views of Auburn Valley. We offer both indoor and outdoor reception areas with seating up to 200. Our indoor dining room has floor to ceiling panoramic windows with breathtaking views. Our outdoor terrace is adorned with delicate lights to illuminate the evening's celebration. Our professional, dedicated wedding staff, have been trained to make all aspects of your wedding day perfect and memorable from start to finish. From excellent service, to exclusive views and delicious cuisine, you can have it all at Auburn Valley Golf &Event Center We would be elated to assist you in planning your special day!